If you're a regular sender, sign up for free as a VIP and you will receive serious discounts plus services not available to general customers. Take away the headache of dealing with transport company customer service departments! At all times you will deal with Smart Send staff; we will resolve any service issues with the carriers directly and update you promptly. 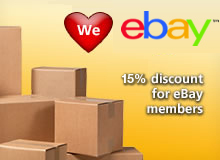 Are you a seller or buyer on eBay? Do you need a 'Door-to-Door' delivery service? Do you run a business and want fair freight prices without added fees? Or do you just need to send a present to a loved one? What can I send by courier? Click here to check if we can transport your goods. Shipping Tips & Advice for the E-commerce community. Add "real time" freight quotes & automated bookings to your site's checkout. 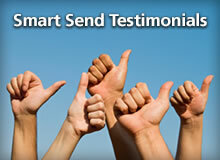 No Account or Registration required to use Smart Send Services! Smart Send aims to assist low to medium volume shippers. For far too long, major courier and freight companies have discouraged trade with these types of customers because of the low level of demand on their services. Due to Smart Send's high volume freight movements, we receive major discounts with our preferred transport carriers; which is how we provide a competitive price for you. With over 40+ years experience working in the courier industry, the Smart Send team can provide you with solutions for your transport needs. If you require a 'door to door' delivery service, interstate and within Australia, we will assist with competitive quotes and prompt customer service. 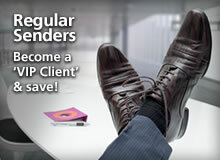 General customers have no expected volumes to meet each week or month, no minimum fees, no accounting fees, ever! Which means no headaches! Use us whenever you have a need. If you are a regular transport user, please contact us via the "Regular Sender's/VIP" link in the bottom right corner of this homepage as we can provide special pricing for your ongoing requirements. Smart Send utilises professional and proven transport carriers specialising in home deliveries to move your goods throughout Australia. Cartons, parcels and packaged goods are tracked using the latest transport technology, through to destination in the majority of areas in Australia. 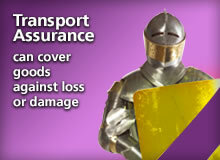 This in turn improves the security of your goods. Courier & Freight services to Brisbane, Sydney, Melbourne, Adelaide, Perth, Canberra, Darwin, Hobart, Launceston, Newcastle, Wollongong, Gosford, Gold Coast, Sunshine Coast, Townsville, Cairns, Geelong and regional locations in QLD, NSW, VIC, SA, WA, TAS, ACT, NT.